It’s Tuesday and almost mid-week. This week, I will be sharing a post each on Tuesday and Wednesday because they are hotel reviews. I feel it’s kind of cheating when I post hotel reviews so I line two at a go. Enjoy! 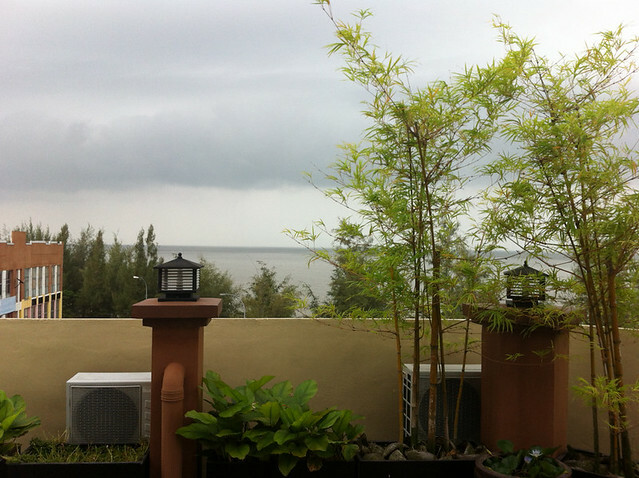 Today’s post is about a charming hotel in Pontian, Johor. It felt like something in the universe was telling us not to go to Gunung Ledang so I cancelled our room reservation with the resort. (Yes, I’m superstitious) We sat in the busy bus terminal with our backpacks and googled the places nearby. Since we did not do any research about Pontian, we had to frantically read up links from Google. 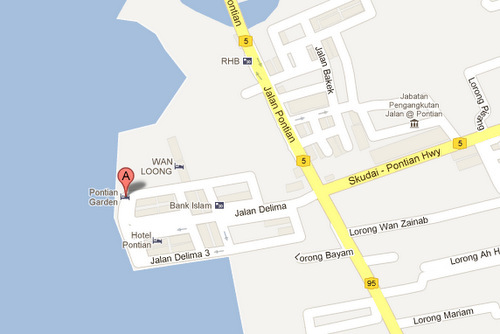 While searching for a place to stay, I discovered Pontian Garden Hotel on Google Maps. I fell in love immediately because it looked like it overlooks the sea. When we reached the bus terminal, I was delighted to find out from my Google Map app that the hotel is walking distance. 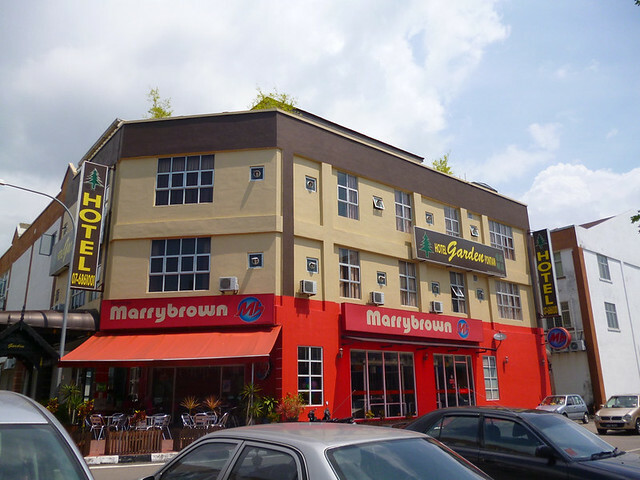 When we checked in, the concierge told us that they only had standard rooms which were RM 118 per night. Good enough! Our room was on the second floor and there was no elevator. Thank goodness we have very light backpack. The room was very comfortable as the air-conditioning worked very well. 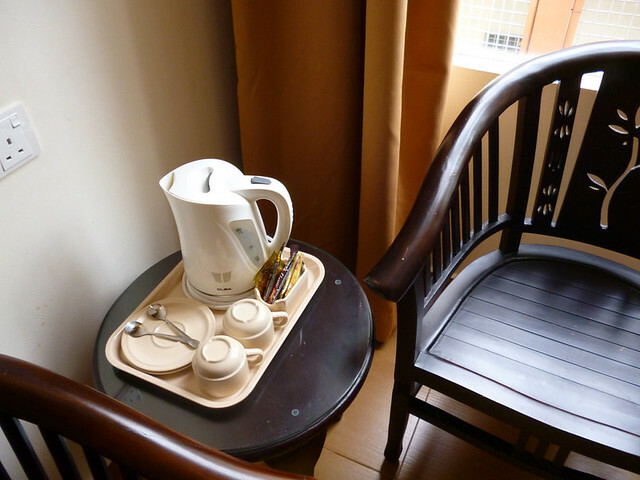 I also like the coffee and tea set. Free coffee and tea! 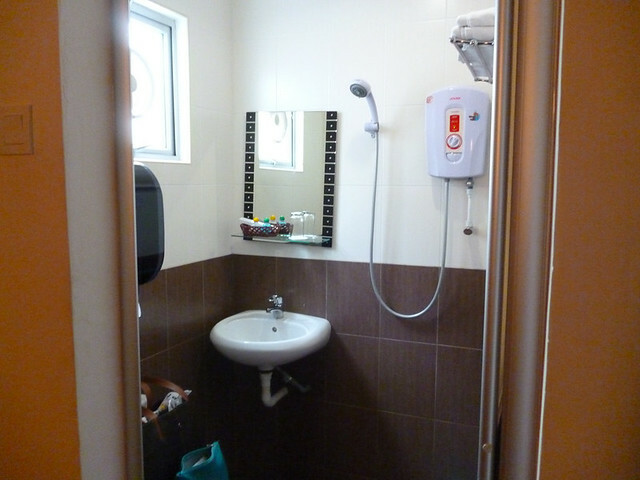 The only problem with the room is the shower: The water sprayed almost everywhere. Eeek. Good points about the hotel include the helpful concierge. They helped us call up a taxi to bring us to Tanjung Piai to see the southern tip of the continent of Asia. But, the best thing about the hotel is not the room, the people or the breakfast (I love food!). It was the view of the breakfast place. Look! Imagine having breakfast while looking at the deep blue sea. (OK, it was gray the day I was there.) The sea breeze is great in helping with invigorating the appetite! 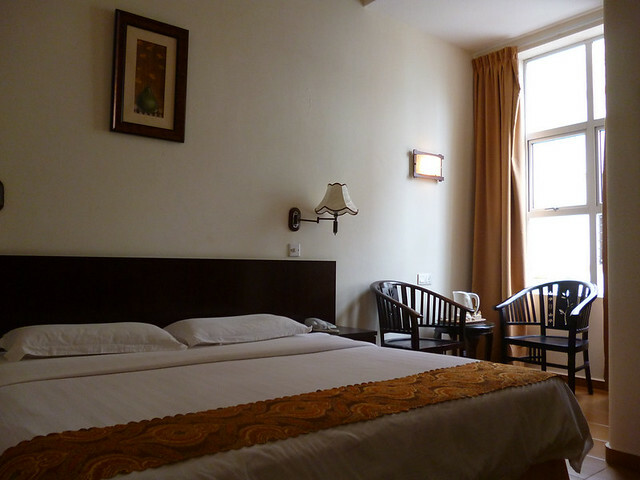 Pontian Garden Hotel is a fantastic place to stay if you are in Pontian. The price, view, room, people are all fantastic. Find out more on Pontian Garden Hotel website.